The Mimic Octopus takes mimicry to a whole new level, mimicking other marine organisms in colour, appearance and even texture, using its pigment sacs called chromatophores. 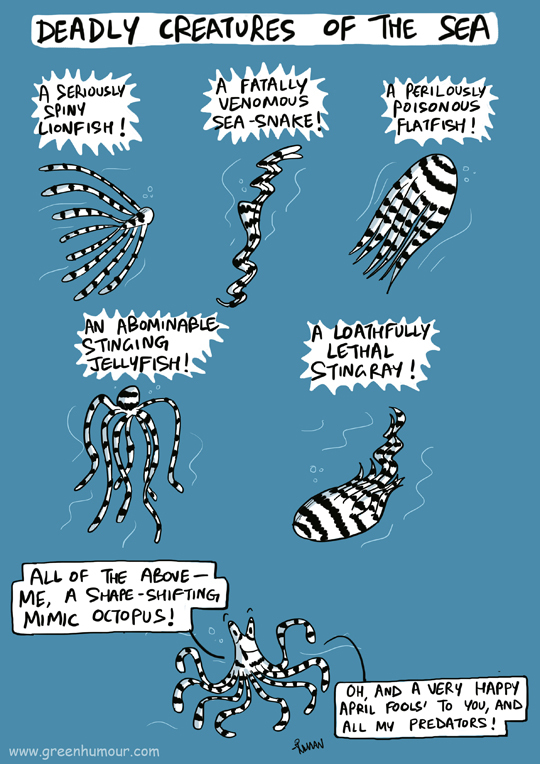 Here's a mimic octopus wishing you a happy April Fools'! The comic appears in my column with Sunday Mid-day.